Note: The full-length ARC was provided by author via Vibrant Promotions in exchange for an honest review. The introductory prequel is a personally owned copy. 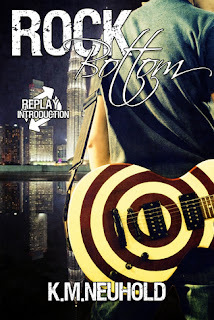 When I got a glimpse of the guys who would make up the rock band that is Downward Spiral in the Inked in Vegas novella from the Heathens Ink series, there was something about them that demanded the spotlight be turned their way. With K.M. Neuhold's new Replay rock romance series, the spotlight is, indeed, shining brightly on the band's four members, but that very same spotlight has become glaringly harsh in the decade that they've been in the music industry, and now, with their band threatening to implode, all four guys--Lincoln, Benji, Lando, and Jude--are forced to take some time away from each other and the pressures of all their fame. 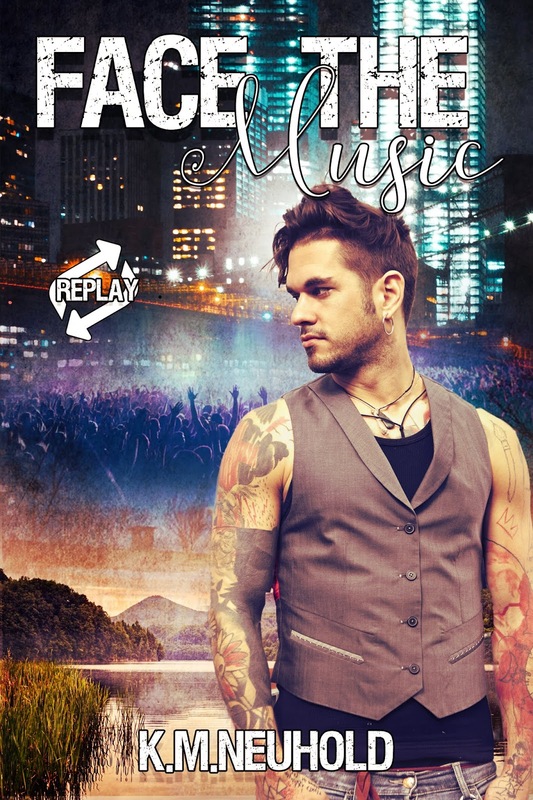 Just like her Heathens Ink series and her co-written Ballsy Boys series, Neuhold offers up a free introduction for her Replay series. Readers get snippets for each of the four Downward Spiral guys AND their manager Archer. The best thing about this introduction isn't that it's free--but hey, love that it IS free, so no complaints about it's freebie status on my end--but the fact that we're given just enough of a nibble to make us curious and then there's just no way we'd be able to resist reading the full-length books. Rock Bottom was quite an enticing intro. Face the Music is the first full-length novel in the series, and it's a second-chance romance between Lincoln Miller and Jace Greene, who were each other's first love as teens only for Linc to up and disappear without a word of goodbye just as the band signs with a record label and Jace has received a full-ride college scholarship when they were both eighteen. Over the next ten years, Linc and his band make it big, but even with all the success and money in the world, he isn't happy and he feels lost. Jace may have moved on but there's still a great deal of anger and bitterness in his heart. When they end up at the very same cabins their families would stay at all those summers ago, it may be their one chance for closure or their second chance at getting it right. This series starter does come with trigger warnings that involve self-harm and attempted suicide. Linc is a cutter, and he's struggled with his jumbled up thoughts and emotions for years, and yes, he was already experiencing this while he and Jace were together. Everything's escalated over time, and my heart went out to him because he was in dire straits more often than not, and it also went out to Jace because no matter what ill feelings he may have had over Linc's disappearance, his ex's behavior had him worried. The author's writing was very much on-point when it came to all those swirling emotions, and it felt as if I had front-row seat as both Linc and Jace tried to cope with everything that was being thrown their way, whether when it came to Linc's mental health or the rock star's being a magnet for unwanted attention and news-hungry fans and media. 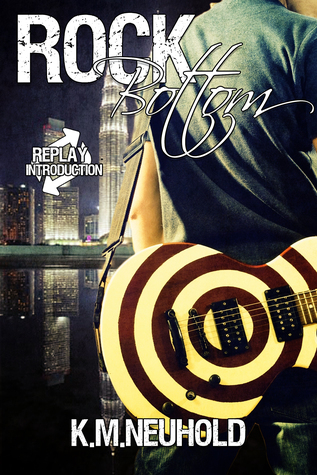 Download Rock Bottom on Instafreebie. Purchase Face the Music on Amazon.